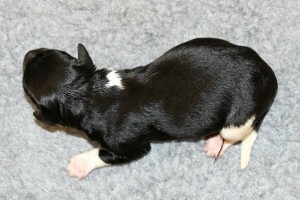 On 14 January 2017, Gaaske Jelske fan de Moaie Hovingen went into labour. 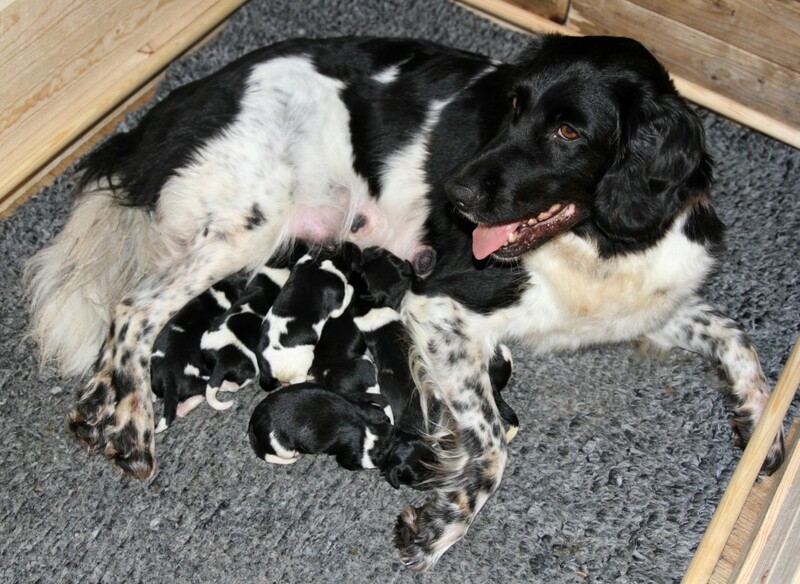 24 hours later she delivered 4 boys and 3 girls – proving what an amazing, natural mother she is. 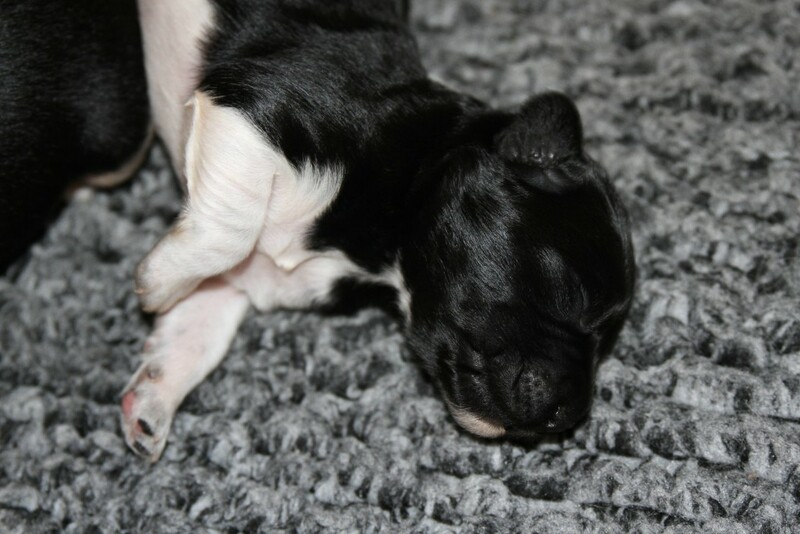 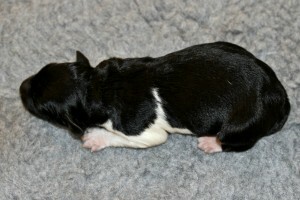 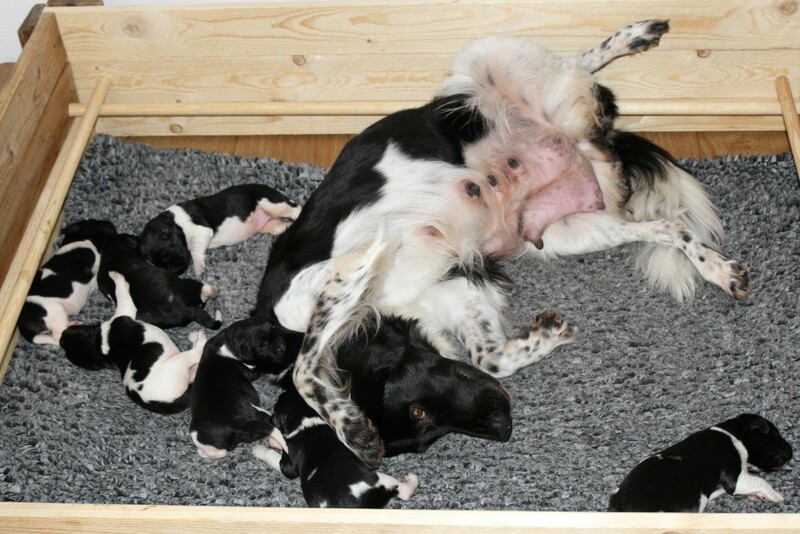 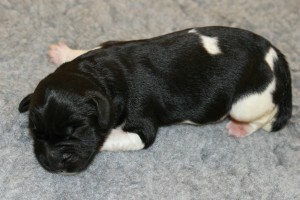 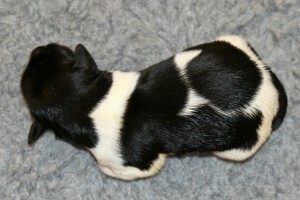 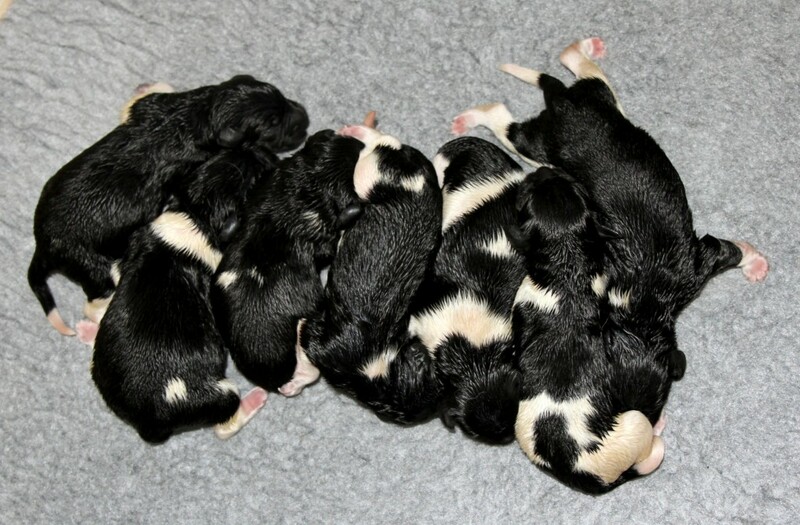 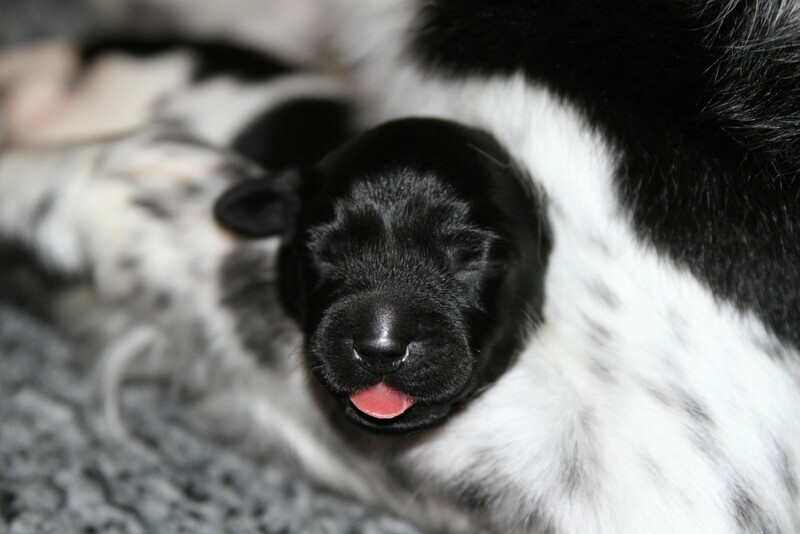 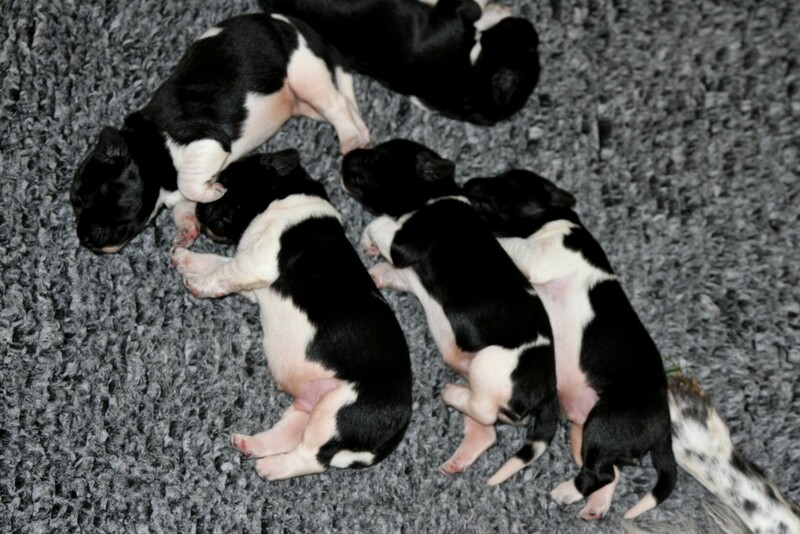 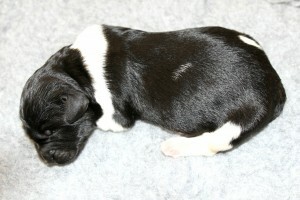 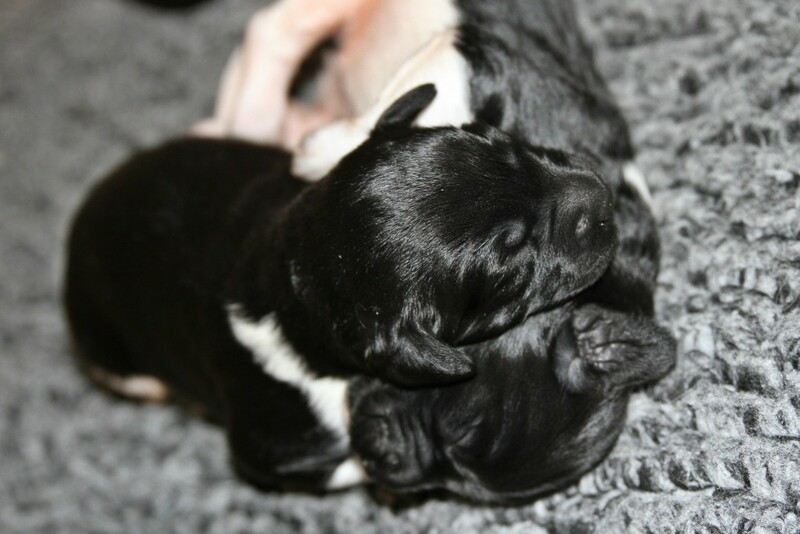 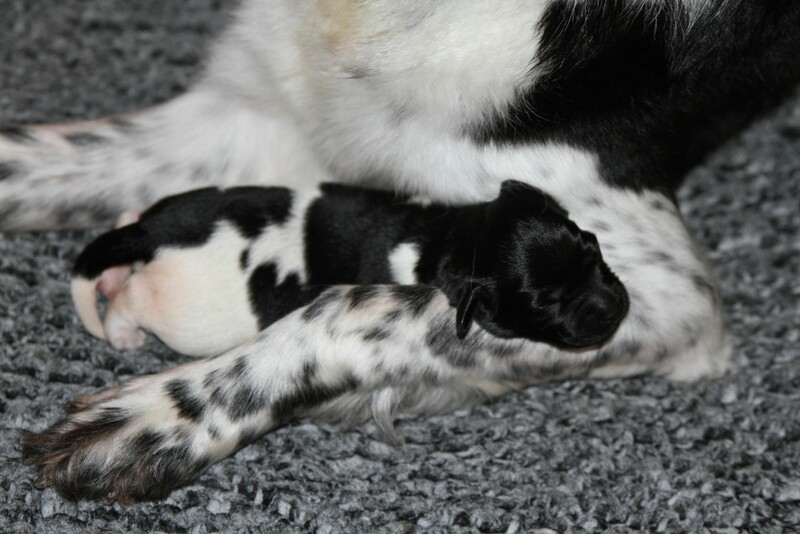 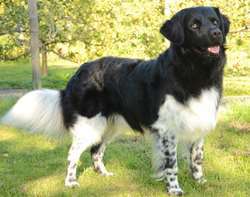 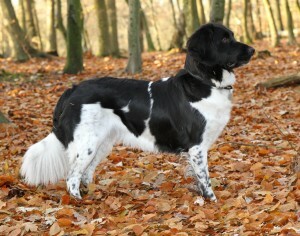 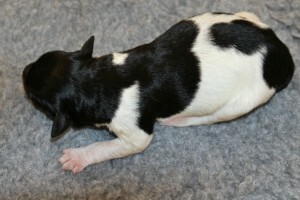 The father of the puppies is Sandcroft’s Gerben Fraukje of Alger (Figo) – his very first litter! 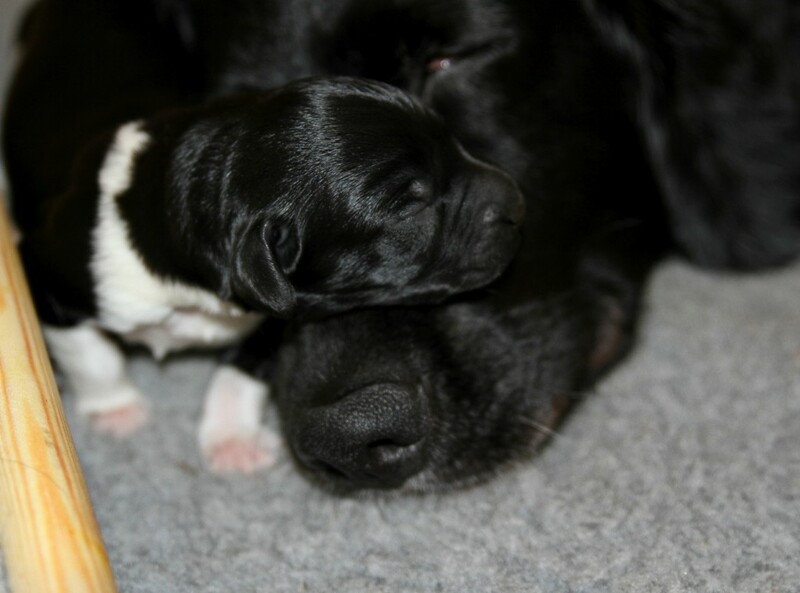 Stay tuned for lots more pictures as these little black beauties grow up. 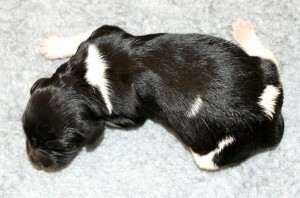 Below you can see some pictures from week 1.